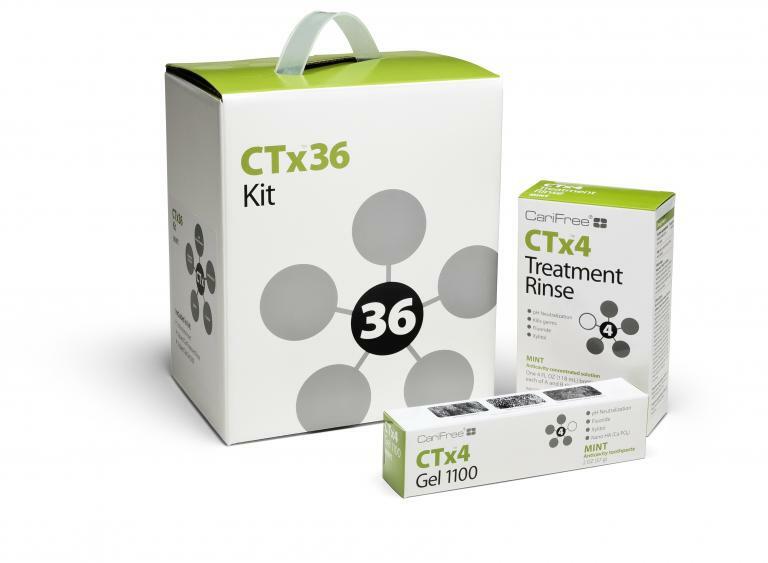 CTx4 Gel 1100 is a low abrasion tooth gel that combines the proven anti-caries benefits of neutral sodium fluoride with bio-available nano hydroxyapatite crystallites, xylitol, and CariFree’s unique pH+ technology. Each box contains one 2 fl oz (57g) tube. Approved size for airline travel! Approximately one month of use per tube (when used twice daily). Brush teeth thoroughly, preferably after each meal or at least twice a day, or as directed by a dentist or doctor. Instruct children under 6 years of age in good brushing and rinsing habits (to minimize swallowing). Always replace cap after use. Supervise children’s use for proper oral hygiene care. In case of contact with eyes, flush with water and seek medical attention if necessary. In case of spillage on clothes, wash off with water. If any unusual symptoms occur, contact your dental professional.